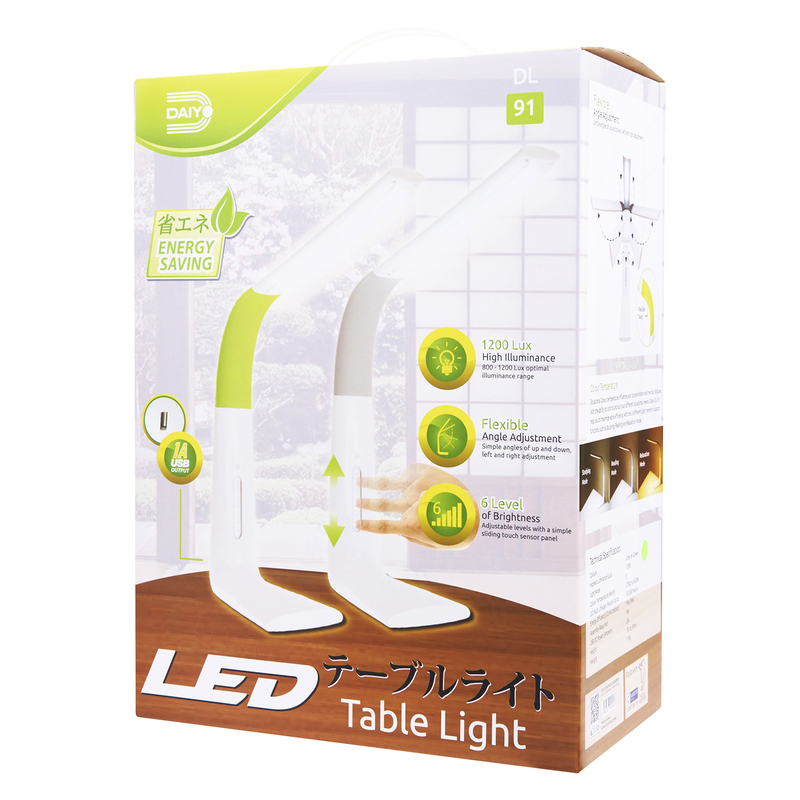 Daiyo DL 91 LED Flexi-Angle Table Light, designed with a contemporary style, is built with all the necessary feature a consumer that requires from a table lamp. 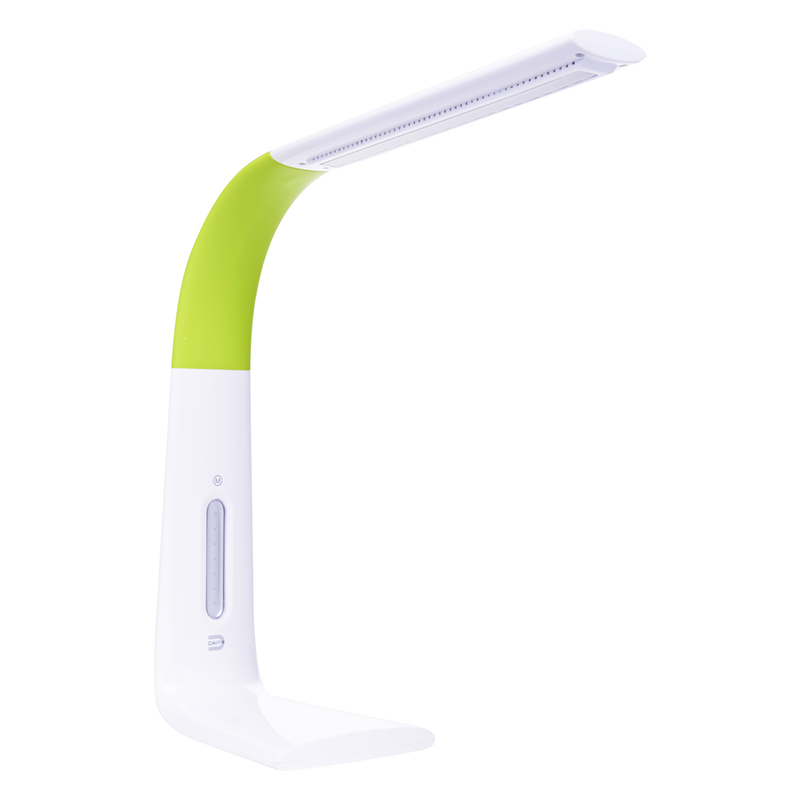 DL 91 is built with 3 Lighting Modes, to suit different consumer situational needs, in reducing the user's mental fatigues and increase work efficiency. 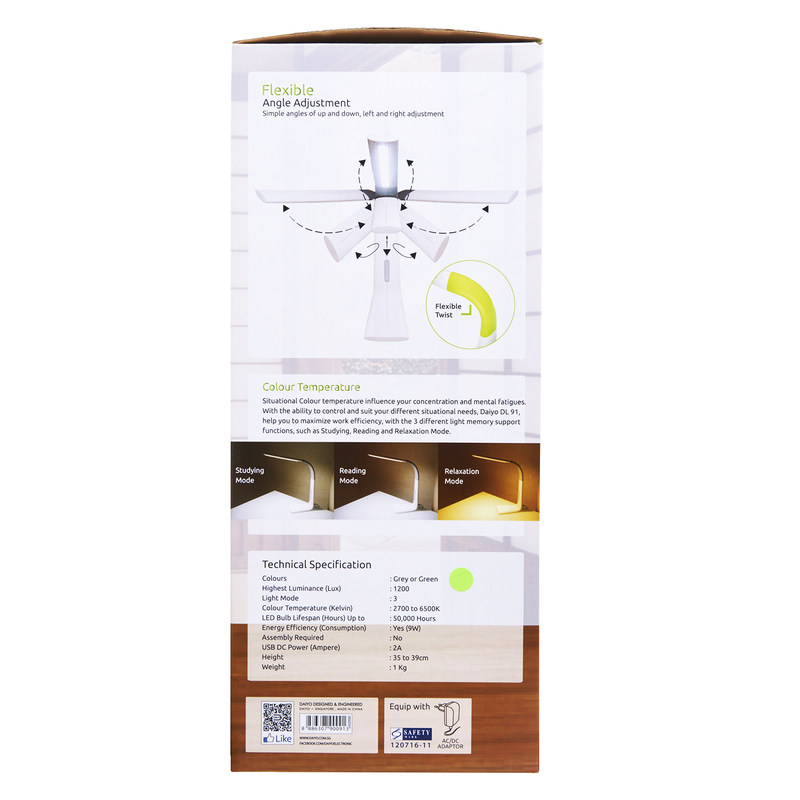 Equipped with a USB charger, this bring great convenience for our consumer to power up their mobile devices while doing their work at the same time.